John Robshaw Luha Pillow with Striped Center, 20"Sq. 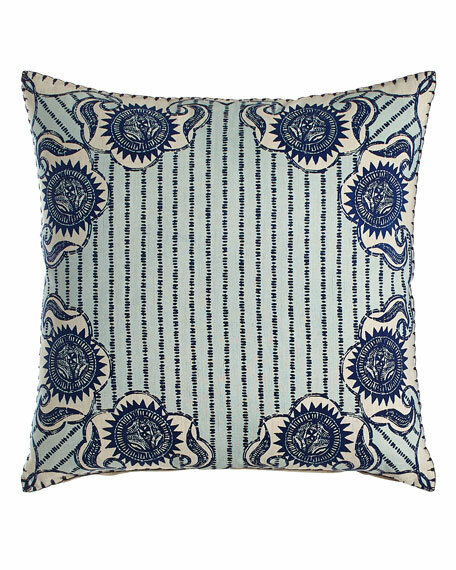 John RobshawLuha Pillow with Striped Center, 20"Sq. Remove insert and machine wash.